It is a very heavy and constant bloomer with outstanding colour, easy grower. 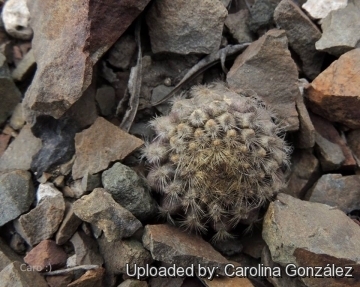 Habitat and Ecology: Eriosyce villosa occurs in coastal hills (lomas costeras) on rocky soils. It is frequent and the population stable. The major threats are illegal collection and industrialization to process steel. The coastal formations in this region have vegetation corresponding to the Desierto Costero Huasco (Huasco coastal desert). Due to occasional precipitation, this vegetation has more permanence and continuity than the vegetation occurring farther north. 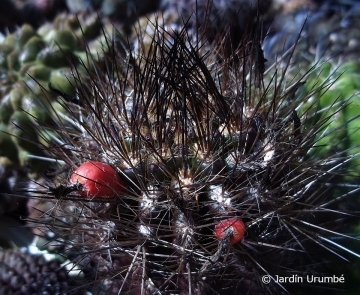 The endemics include Copiapoa echinoides, Copiapoa malletiana, Eriosyce napina and Neoporteria villosa var. laniceps. 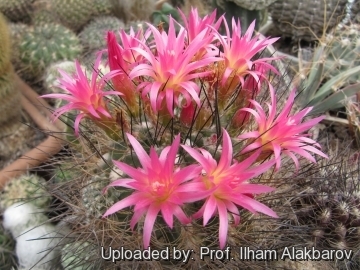 At times this region is dominated by geophytes, which can cover expanses of the desert spectacularly. 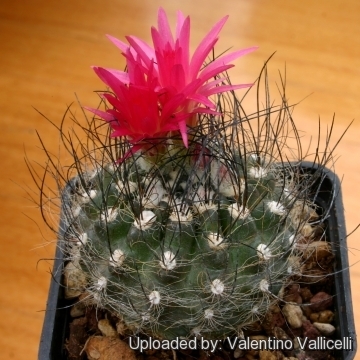 Description: Eriosyce villosa is a small solitary cactus typically with long hair-like radial spines and several small magenta flowers at a time. It becomes shortly columnar in age. Stem: Subglobose to globose, becoming elongated or short cylindrical, greyish-green to very dark green or dark blackish-purple, up to 15 cm tall, 8 cm in diameter. Ribs: 13-15 prominent, large, deeply notched between areoles. 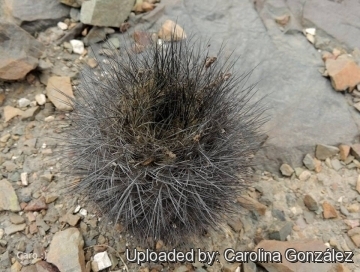 Spines: More or less dense, the number of spines (especially the bristly radials) is quite variable. 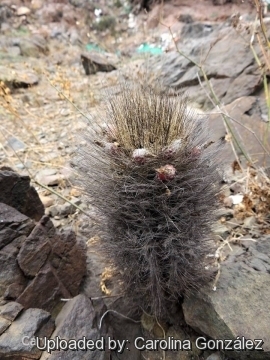 Central spines: 3-4 cm long, bristle like, usually darker than radials, glassy gold-brownish to black. 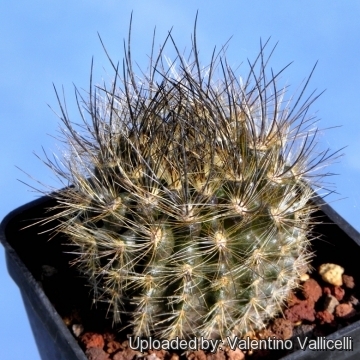 Radial spines: 12-20, thin, grading from bristle- to hair-like, whitish, grey or brownish. 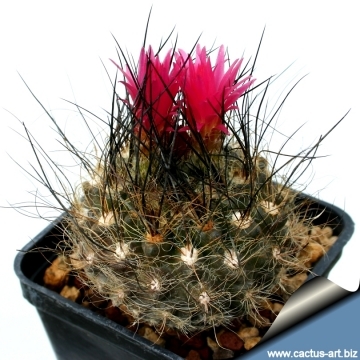 Flowers: Borne at plant apex on young areoles, 2-2,5 cm in diameter, tubular to narrow funnel-form, bright magenta, showing various shades of purple-pink with clearer throat, pericarpels and floral tubes with long wool and gassy white bristles. Cultivation and Propagation: It is a summer grower species. Easy to cultivate but somewhat rot prone if kept in a non ventilated place. 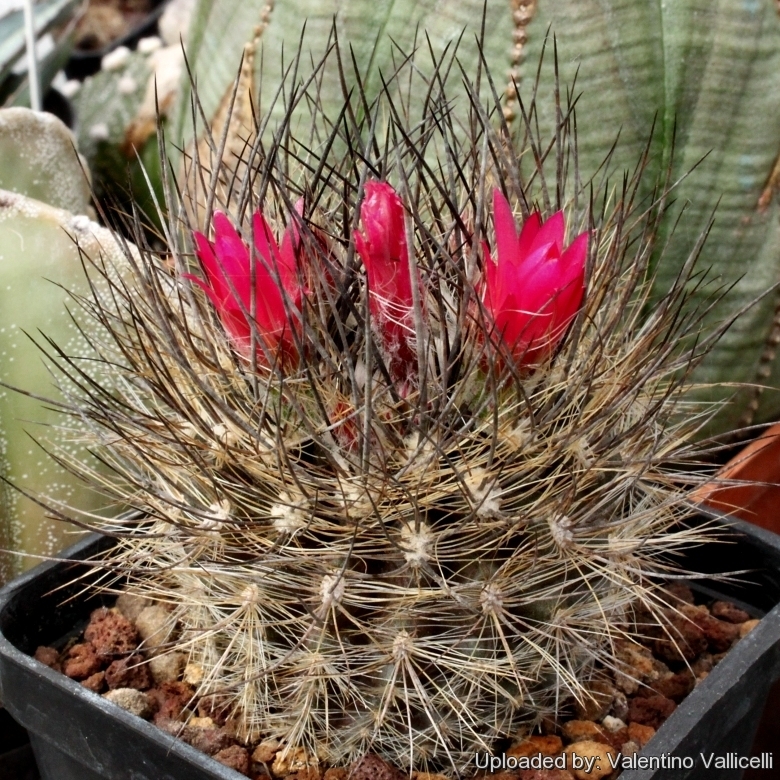 Requires a very fast draining drying soil Water regularly in summer, but do not overwater.